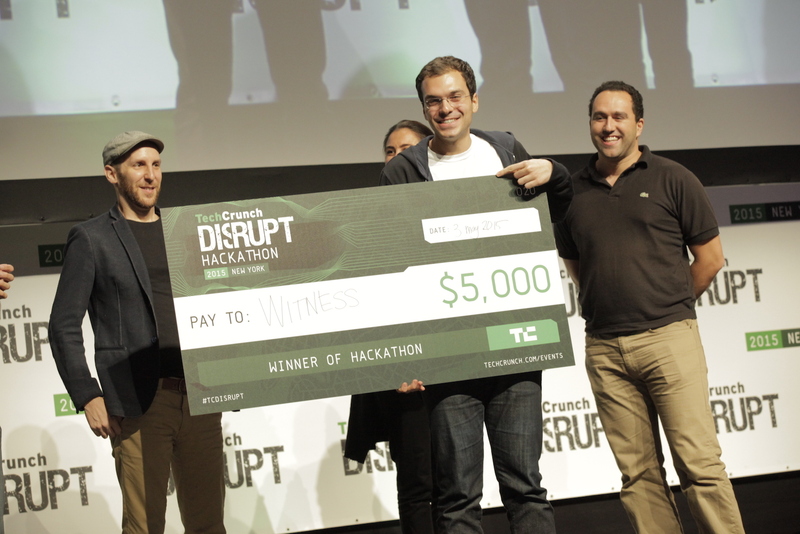 Parachute was created by Marinos at the TechCrunch Disrupt NY 2015 Hackathon as Witness on May 2nd, 2015. 24 hours later, it went on to win the grand prize. Initially inspired by a series of events where the outcome hinged on a chance recording by a nearby witness, Parachute has grown into a widespread tool for emergencies, from personal health and personal safety, to investigative journalism and upholding human rights worldwide. We believe that everyday devices, like our phones, can go a very long way in keeping us safe and we strive to provide the simplest, fastest and most reliable experience in the event of an emergency. As personal devices become more and more ubiquitous, we keep pushing the boundaries of what is technologically possible to make the world a safer place. Most tech companies today sell their souls in exchange for funding. Venture capital has become so easy that companies have forgotten to run sustainable businesses, and often run their companies to the ground. In the words of one ex-CEO, whose company failed after raising $62.1M, "Knowing what we know now, there's no question we'd do some things differently. We would have built profitability in from the beginning." The allure of the extra money is initially intoxicating: so many possibilities open up. But eventually, the honeymoon stops and they are faced with reality: they are enslaved to their debtors/investors. They end up trying to do the best not for their users, but for their investors. This pushes them to become obsessed with growth at any cost. And ultimately, as money runs out or growth slows down, they start engaging in bad practices, like selling their users' data, playing tricks by exploiting human psychology, badgering you with annoying notifications, or turning into a vapid cesspool of clickbaity drivel. At Parachute, maintaining our independence is a key principle of how we do business. Our users are our investors. We charge a fair price and our loyalty is only to our users. The ancient Greek philosopher Epictetus said, "Who is your master? Anyone who has control over things upon which you've set your heart". At Parachute, we are our own masters, so we can do anything upon which we set our heart. Most tech companies ask "How large can we get?". What is our "Total Addressable Market?". The larger that number, the better. At Parachute, we couldn't care less about how large we are. In fact, instead of asking how large we can get, we ask how small can we be. We would rather have a small number of happy users that we can serve and delight every day, than having to do everything for everyone. By focusing on quality and not quantity, individual user experience and not mass market, we maintain a healthy business without resorting to shady growth tactics. At Parachute, we think of ourselves as a carrier of emergency data. We have one task: get your emergency data to your emergency contacts as fast and reliably as possible. A common carrier, like your cell phone company, is not in the business of censoring how you use your phone. They will not cut your phone call if you say something they disagree with. In the same realm, Parachute is open to everyone, regardless of beliefs. Companies should simply not be in the business of censorship. There is a system for that, and it's called the judicial system. Thousands of years of human knowledge have shaped this. In the US, this consists of a system of elected judges, either directly by the people or indirectly through democratic processes. It may not always be correct, but it's the best we have. No company is older than the judicial system. Companies simply do not have the expertise to frontrun, replace or compete with the judicial system. Parachute has been one of the first (and perhaps only) companies to offer a Neutrality clause from day one: we pledge to not ban anyone from using our platform unless required to do so through the process of the judicial system. Parachute's users are not simply third parties to which we push whatever crappy software we can get away with. It's remarkable how many engineers in tech companies today despise the products they work on every day, as they have become spammy abominations of what they once were. Parachute's users are ourselves, our friends and our families. We use Parachute in our daily lives every single day. So when we sell a product to you, we are treating you in the same way we treat our friends and loved ones. We care to give you the best experience in the same way we care that our friends, loved ones, and, quite selfishly, ourselves, get the best experience. Unlike other companies that seek to impose their lifestyle and rules on you in order to "control the user experience", our mission is to simply create the best tools you need in an emergency. We recognize that we will never be able to anticipate all the possible uses of Parachute, and so we keep our tools available for every use. By keeping Parachute a tool and not a "lifestyle" "community" "experience", we ended up opening up possibilities that we didn't initially envision, like its use in healthcare, human rights, insurance, and investigative journalism.